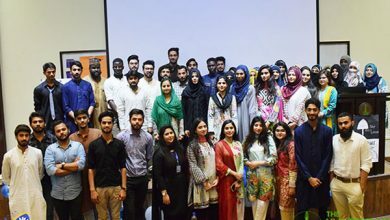 A newly born departmental society “Techno-Club” was launched at the University of Lahore Raiwind Road Campus on March 12, 2018. 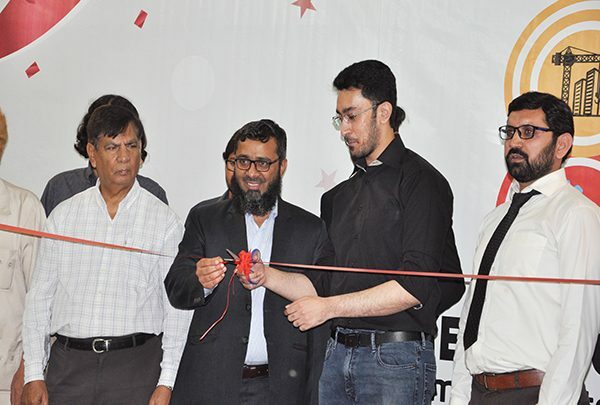 UOL Deputy Chairman Board of Governors, Mr Uzair Raoof was present to inaugurate the society as chief guest. While delivering his brief speech, Mr. Uzair applauded the Department of Technology for supporting student activities that enhance their holistic growth. “I am happy to see that students are initiating such efforts. I am sure that this society will really help students to excel. I am equally grateful to the headship of the Department of Technology for spearheading such developments.” He said. Techno-Club is purely engineering and technology based society aiming at providing a healthier platform for students of technology to exhibit their talents and knowledge in a competitive manner. It will enable students to realize the practicalities of their academic programmes and extra-curricular activities. According to the Society brochure that was issued on the inauguration day, Techno-Club will be organizing different practical competitions like AutoCAD, Truss Bridge, Robotic competition and many more. 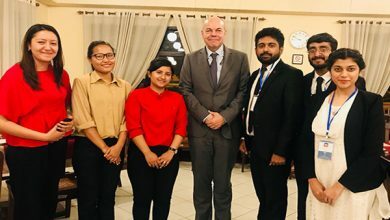 It will arrange study tours, seminars, conferences, guest lectures on different topics and different awareness programs and lobby internship placements for its members.